It’s time for round two for Gov 2.0 LA. 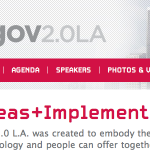 For those of you who may be unfamiliar with Gov 2.0 LA, it is a hybrid conference that stimulates the brain and positions people to have actual time to talk to each other. bridging digital diplomacy, social media, entrepreneurship, mobile and mapping and reaching into the crossover into citizen engagement tools. Gov 2.0 LA founded by Alan Silberberg had an amazing first year with hundreds of people showing up throughout the 2 day weekend event. They brought in an amazing group of speakers some of which included people like, Bill Grundfest, the Golden Globe Winning Producer and Creator of “Mad About You”, Craig Newmark the founder of Craigslist, Cory Ondrejka Co-Founder of Second Life, and many more. And this year there is no shortage of awesome speakers that are going to be in attendance. There is still time to be part of this great event and you can register by clicking here. 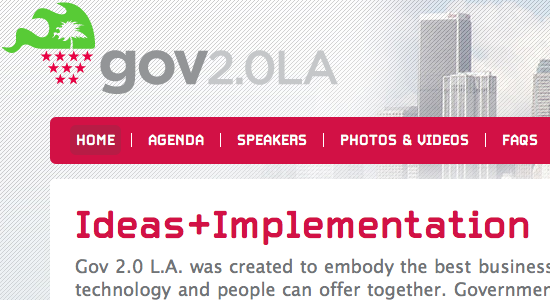 Here is a peek of what to expect at Gov 2.0 this year. Keynote Address 1: Jeanne Holm, Chief Software Architect, JPL/NASA. Ms. Holm will be talking about how innovation at NASA and at DATA..gov have led to new business processes, new ways of thinking and new ways of getting people involved in the change management. Mobile-Action – Mobile Panel with Maribel Lopez, Chad Catacchio and Kurt Daradics – implications of mobile technology for the growing Gov 2.0 community, especially with regard to customer service and service implementation and delivery in both a global and hyper-local context. Saturday Afternoon Keynote/Dialog 2: Ambassador John Duncan, UK Ambassador for Multilateral Arms Control and Disarmament. Ambassador Duncan will be addressing Gov 2.0 from the Diplomatic side as well as asking an important question: Is Gov 2.0 Transparency or Propaganda? Keynote Dialog 3: Jack Bienko, US Small Business Administration and R. Ray Wang, CEO Constellation Research. 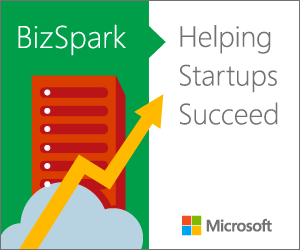 Mr. Bienko and Mr. Wang will discuss how Government 2.0 and Enterprise 2.0 combine to create new companies, new jobs and how the underpinnings of a new style of governance will flourish on the two combining. Public Diplomacy and the New World with Lovisa Williams of the U.S. State Department, Gina Evans of the UK Government and Martha McLean of Foreign Affairs and International Trade Canada, Government of Canada and Dan Abele, Embassy of Canada , Washington, DC. The youth and the rest of us. Evonne Heyning and Dillon Hosier will lead a discussion of how to penetrate the minds of under 30 year olds and the implications it has for the rest of us. Privacy and you. Christina Gagnier will lead a discussion of how both individuals and government agencies alike need to be paying attention to the new legal minefields that all of us using social media and the internet need to be aware of.